With at least three IPOs in the offing this year, stock market investors have a lot to look forward to, says Hamsini Karthik. Stock market investors are eagerly awaiting a new sector category of insurance as more insurance firms get listed in 2017-18. ICICI Prudential Life Insurance, the largest private sector insurer, came out with its public issue in September 2016, while HDFC Life and Max Life announced a merger in August, which is yet to receive regulatory approval. In this year's Union Budget, Finance Minister Arun Jaitley announced the listing of state-owned general insurance companies, now preparing for their initial public offerings. After the IPO of public sector banks in the past few decades, the listing of insurance players will be the next big change in the country's financial services sector. While the insurance sector is as old as banking in the country, it is only in the past 10 to 15 years that the sector has undergone a sea change in terms of standards of expansion and disclosures. The Insurance Regulatory and Development Authority of India, Irdai, set up in 2000, opened insurance to the private sector and allowed foreign firms to partner with Indian players. The listing of insurers is a step towards improving the quality of disclosures and its periodicity, and will make companies answerable to investors and society in general. Till a decade ago, there was little transparency in terms of policy details, claims and surrender rates, which Irdai has changed by bringing in more disclosures. Joydeep Roy, partner -- advisory practices, PwC India, who leads the insurance vertical, says that ever since the insurance sector was opened up, disclosures and transparency have undoubtedly increased. "This was done with an intention of tapping the capital market," he says. Insurance companies, he explains, were among the first to rope in independent directors in the board. "Even the smaller companies in the sector follow far superior practices than in other industries," he emphasises. Sandeep Batra, executive director, ICICI Prudential Life, too adds that tapping the capital market will accelerate the levels of compliance and disclosures. 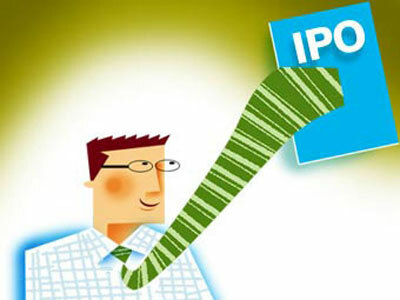 "Anyone wanting to go public needs to start preparing for the IPO well in advance," Batra says. "This was the game changer for the sector, because until 2014, the year when tapping capital market was made possible, not many companies really bothered about disclosures, though the general level of compliance with Irdai norms was always maintained," Batra adds. But the process to successful listing might not be easy for all. The insurance business, especially life, has a unique way of publishing its financials. The format followed by insurers is far different than that of banks and non-banking financial companies, and has several layers of incomes and expenses that one needs to be mindful of. Abizer Diwanji, partner and national leader -- financial services, EY India says, insurance company financial statements generally have many assumptions around the actuarially computed provisions, though the disclosure requirements of these assumptions can be benchmarked. For an investor looking at insurance players, general insurance is an easier business to understand over life insurance as the financials are more straightforward. "Emergence of profit or loss is more immediate in general insurance and so value discovery should be easier," says Diwanji. In his opinion, the disclosure levels for general insurers is very detailed and contrary to popular belief, this holds true even for the public sector general insurers. "Accounting was branch oriented for public sector general insurers. So, calculating data was tough and long drawn, which is changing thanks to the efficient drive of Insurance Information Bureau," he says. So, when these insurers get listed, data is expected to be real time, which will be help investors analyse companies better. This year is expected to be a turning point for insurance companies and investors can expect at least two major issuances -- New India Assurance and General Insurance Corporation in the public sector general insurance space. SBI Life is also a possible candidate. The current buoyancy in the stock markets should also help these public issues. Should you shift to NPS from EPF?